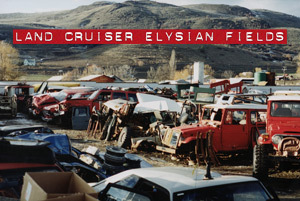 During the late 1980’s and early 1990’s, the Toyota Land Cruiser Association was being propelled by national coverage of both the Thanksgiving Day run and the young Rubithon event, which helped the association eclipse the 300 membership mark in 1990 for the first time. However, with growth can come hardship. TLCA volunteers were overworked to the point that Toyota Trails missed several issues in 1990. 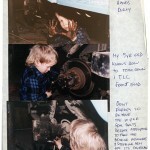 Toys on the Rocks member Gary Bjork had approached Dan and Cindy Schueler in late 1990 with an offer to take over as managing editor for Toyota Trails. The Schuelers successfully presented the proposal to the TLCA Board who gave Gary one year to prove his worth. 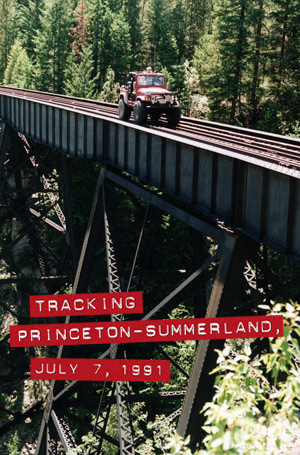 In 1991, with Steve Malpezzi as President, the first issue of Toyota Trails arrived under the guidance of Gary Bjork. To say members were delighted would be putting it mildly. They were ecstatic! For the first time, here was a publication dedicated solely to everything Toyota. The question of, “Where is the value in membership?” was quickly answered. In that issue, Steve Malpezzi announced the current chapters: Toys on the Rocks, Mountain Transit Authority, Toys for Fun, High-n-Dry, Bay Area Cruisers, Southern Nevada Landcruisers, TLCA San Fernando, TLCA Ventura, So Cal TLCA and the newest chapter, Crazy Eights. A dues increase was also announced, from $10 to $15. Although the association’s yearly operating budget was approx $15,400 in 1991, the association only had $3,378.50 in the bank and was struggling with cash flow. But 1992 was a banner year for TLCA. 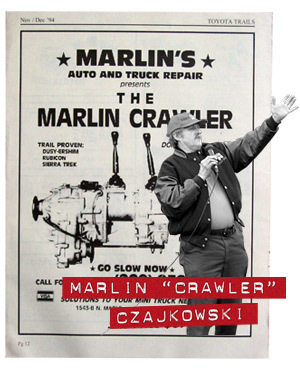 The trials of 1990 were left behind and members found exceptional value in the award winning Toyota Trails, which now contained Cruiser tech tips by Mark Algazy and Truck Tech by Marlin Czajkowski. 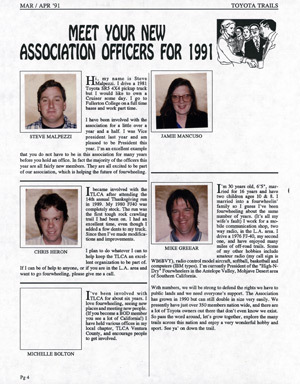 Membership had also climbed to “well over 500.” TLCA Chapter clubs had grown to 15 by September of 1992 and the TLCA Board had enacted the National Expansion Committee, which was designed to promote TLCA outside of California. Many of the changes in the following years were spurred by this group, including their first task, updating the association’s logo. Their efforts began to bear fruit in early 1993, starting with a goal to achieve 1,000 members and the development and acceptance of a new corporate logo. As with most organizations, there were long and sometimes painful negotiations preceding nearly every decision. Let’s be realistic—rarely are 15 to 20 unique individuals all going to agree on anything. Changing the TLCA logo was very difficult for the Board members of 1992. In fact, many long time members of the association were not keen on the change—TLCA Ventura and Bob Garrett himself were very content with the current logo. Unfortunately for these members, many new Chapters and members had joined and the demographics of the membership had changed. The NEC was successful in achieving the vote of acceptance and TLCA officially changed its logo in March of 1993. The NEC also proposed changes to the Board of Directors, creating the Eastern and Western Individual Representatives to support and encourage the rapid growth of Chapters and Independent Members. No longer was the association comprised primarily of Chapters and their members. 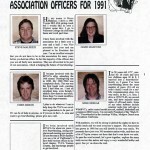 The NEC efforts must have been successful because TLCA membership doubled in 1993 alone and 7 new chapters were added. In 1994, the association initiated many changes. A fundamental change occurred when it transitioned membership dues to annual as opposed to yearly. Since 1976, yearly TLCA dues were paid in January of each year for an entire Chapter. They would submit a roster of club members and a check, with each member then receiving TLCA benefits. Beginning in 1994, membership dues deadlines would be based upon the month a member had originally joined. However, TLCA Chapters would still continue to submit association dues together until 1998. Other changes included TLCA’s first phone line, postage equipment for membership efforts, and accepting credit cards. 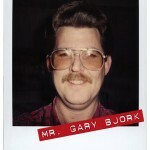 And something monumental for Gary Bjork—internet access! Gary specifically noted the benefits of being able to receive correspondence electronically and not needing to manually type in each and every letter, article and tech tip. This capability quickly evolved into the first mailing list. On top of the sweeping changes in 1994, the association underwent another dues increase, from $15 to $20. The association also discontinued the use of courtesy cards and printed a sample magazine to use in garnering membership. 1995 found membership growing steadily. Kara Patston had joined the TLCA Board, taking over for long time member Roberta Spears. Kara created a Membership Office to deal specifically with the then 1,212 members. The association was averaging 70 new members a month, up to 1,335 by May/June of 1995. 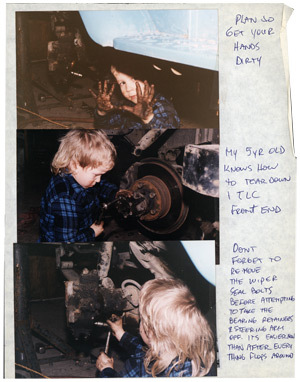 The Toyota Trails “Snap Issue” debuted in mid-July and the TLCA website, originally requested by Gary Bjork in early 1995, debuted in November, thanks to Bruce Cotter, who volunteered as the association’s first webmaster. While the website effort was not broadly acclaimed at the time, many key players felt the national event coverage from magazines, coupled with the association’s website, were what propelled the association to a national level. And with 27 Chapters and 500 inquiries in the prior six months alone, a membership assistant was brought on board to help with the growing chore of managing 1,800 members by the end of 1995. During the 20th anniversary year of 1996, Mike Bennett was elected President—Mike recalls missing that specific meeting in which he was both nominated and elected and would never make that mistake again. Mike set the goal of 2,000 members, which he easily achieved in May of that year. 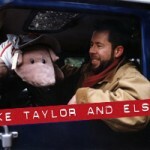 Mike also went on to be selected as a finalist in Four Wheelers’ Top Truck Challenge in 1996. 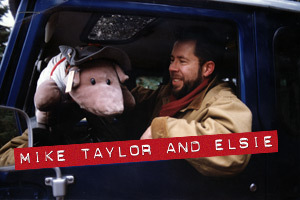 TLCA Across America kicked off with Elsie the Armadillo journeying across the US via TLCA chapters and independent members. 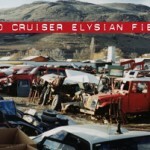 Elsie was not covered much in Toyota Trails until mid-1997, when she made a splash with Mike Singletary (of NFL fame) and began her trip back across the US. The idea was initiated on the mailing list, which provided an excellent venue for garnering support across all 50 states. TLCA capitalized on the idea with raffles and advertising opportunities. 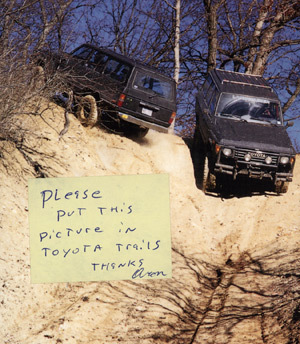 Also in 1997, Gary Bjork called for a full time advertising manager as part of the Toyota Trails team, and got his new Trails team assembled by July/August, including Henry Brimmer as layout and design editor. July/August also found Mark Whatley taking over as Tech Editor, with membership over 3,000! 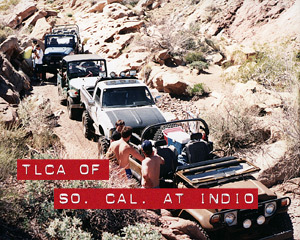 At the end of 1997, the association had achieved the honor of “Largest 4WD Organization” in the United States, based on membership and operating budget. Bob Garrett must have been mighty proud. In 1998, the Trails team was solid with Gary Bjork, Henry Brimmer, Mark Whatley, Rod LaHaise and Rob Mullen working hard. The association’s operating budget was at $140,000 per year, with 65% of that going to produce Toyota Trails, 20% for membership, 7% for Rubithon and 4% for merchandise. Kara Patston introduced Karr Acord to help with membership duties in March of 1998, and the association went through its fourth dues increase, from $20 to $25. Also that year, Ron Patston put land use issues at the forefront of TLCA business and attended a meeting of the minds with other key OHV and land use figures, including future Friends of the Rubicon trail boss, Del Albright. But one of the biggest events in TLCA history occurred in July/August of 1998 when Toyota Trails published its first color issue! This was a huge step in the evolution of Trails and one long envisioned by Gary Bjork. What made this happen was the fresh approach and design effort Henry Brimmer brought to the team; the progressive approach and vision towards a national (and professional) organization that Ron Patston brought as President; and the increased advertising income which had been steadily growing under the direction of Gary Bjork and his advertising manager. Karr Acord also altered history in late 1998 by proclaiming that Chapter group renewals would no longer be accepted. For the first time ever, TLCA had departed from its Chapter based background and focused solely on individual memberships. After the color issue, Gary thanked members for completing the survey and apologized for the continued tardiness of the newsletter. The survey was done in part to reveal demographics about Toyota Trails readers and to provide a marketing tool for the advertising manager. The tardiness of Trails would continue to plague the association for years to come. President Ron Patston thanked Rubithon attendees, all 155 of them, and posted the job descriptions for all board positions currently available: President, Treasurer, Eastern Rep, Western Rep and Secretary. The September/October issue also ran an article on the soon to be closed Surprise Canyon—we can only dream of making that run now. 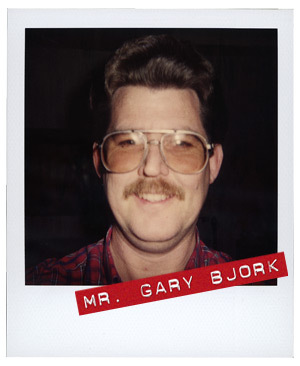 The November/December 1998 issue of Toyota Trails featured a dramatic comment from Gary Bjork in his Editor’s Column—he was stepping down as Managing Editor. Gary stated that the decision was based upon his limited availability coupled with Trails having gone big time. Gary also announced his replacement—Henry Brimmer would be taking over in January of 1999. Gary was ready to exit the role he had created for himself. It had been 9 years since he first pitched the idea to the Schuelers and the job had grown ten-fold. 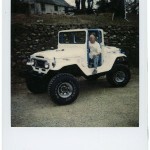 Trails had gone color, Henry was on board and the Trails team was solid. Gary saw his opportunity to step aside and took it. It was the end of an era for the TLCA, and a few years later Gary was honored by the association with a lifetime TLCA membership. 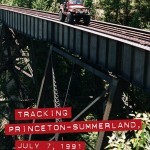 Henry Brimmer began 1999 by humbly accepting the role of Managing Editor. 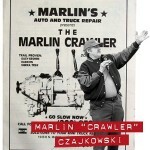 He introduced his Trails team, including Mark Whatley, who was officially titled Tech Editor; Rob Mullen as Story Editor; Henry Cubillan as “writing up a storm and selling advertising space;” and Gary Bjork as Senior Editor. Membership was at 4,054 members, consisting of 1,015 chapter members, 66 associate members and 2,973 independent members. The I.D. cards being issued were at 8,598. The association suffered a jolt in March of 1999, however, when Pat Halpin, the new TLCA President, announced Ron Patston’s resignation from the board. Despite Pat’s efforts to maintain calm in the association, internal strife and personality conflicts climaxed in an 8 hour “Black Sunday” board meeting, during which two board members were asked to tender their resignations. Issues over prior bylaw changes surfaced, related to whether or not changes had been properly posted in advance, voted upon and recorded. Many felt the association was not providing adequate communication of activities at the Board level. November found the creation of a bylaws committee to address and clean up any remaining bylaws issues, and saw membership sinking to 3,279 members. Despite the difficulties experienced in 1999, 2000 brought in the new millennia and a bright year for TLCA, with new President Dave Brown taking over, and Park Owens as Treasurer. Many challenges faced this Board—building trust, bylaw changes, financial stability and a recently discovered tax problem. Park noted the association’s $230,000 budget represented that of a small business. And as color back issues began filling the TLCA merchandise shelves, Henry Brimmer suggested packaging them into yearly sets and marketing them as Collector Sets. While this action may seem trivial, Collector Sets quickly became the mainstream of TLCA merchandise sales. Dave Brown initiated the Strategic Planning committee in late 2000. The lessons learned that year and the year prior made everyone realize that growth without a long term plan was a recipe for disaster. One of their most dynamic recommendations was to create an Administrator position, which would be responsible for the association’s bookkeeping. This recommendation would take two years to fulfill. The Board also brought back the yearly raffle in an effort to restore the association’s balance sheet and put TLCA “Back in the Black.” Dave Brown would later reveal that the finances were so bad that the printer would not publish Toyota Trails until they had a check in hand. By the end of 2000, membership had climbed back up to 3,696 with I.D. cards above 10,000. TLCA celebrated its 25th anniversary in 2001! The association marked this milestone by recounting how the budget was just $24,000 nine years earlier, and was now at $240,000. Park Owens noted that while the association had been struggling financially, trimming expenses had managed to accumulate a discretionary fund to avoid cash flow problems. Park went on to note that the errant tax issues, including any fines due, had been corrected. This was a huge task for the treasurer and the association was extremely fortunate to have Park take over the role and provide the financial leadership the association had been desperately lacking. Bruce Cotter decided to step down as webmaster in 2001 and Jerry Reffner stepped up to volunteer. 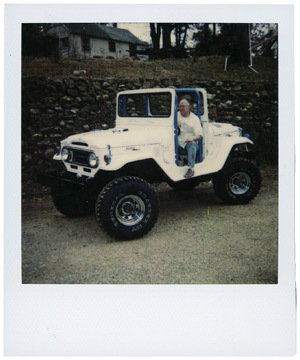 Gary Bjork specifically thanked Bruce in Toyota Trails, emphasizing the role he and the TLCA website had played in the success of the organization. The Trails team also saw Rob Mullen step down as story editor. Henry Brimmer celebrated the 25th anniversary by publishing three issues of Trails dedicated solely to TLCA member “Reader Rigs.” This was a rare opportunity for members to have their trucks displayed in Toyota Trails. By late 2001, Dave Brown recalled the successes of that year, including accruing $100,000 in the bank, late advertising accounts being cleaned up, and the bylaw effort completed. It would be another year before the Administrator would become a reality with Jackie Miller fulfilling that role. Having inherited problems from prior years and successfully guiding the association through a failed book publication effort, as well as implementation of the administrator position—each of which was fraught with challenges—Dave was ready to step down by the end of 2002. I believe his contributions to TLCA rival those of his predecessors Morey Estrada, Dan Schueler, Mike Bennett and Ron Patston. I chose to conclude this history of the TLCA at year 2001. I felt the 25th anniversary was a good milestone to use and perhaps someone like you can continue this story in 2026, when the association celebrates 50 years. Additionally, I had nothing good to say about the TLCA President who followed Dave Brown, although many others have fond words to share about me…. When I interviewed various key players whom I have written about, I would conclude each interview with one final question: what do you appreciate or remember the most about TLCA—that is, what stands out for you? While I heard comments about the politics to some degree, the most common answer revolved around the friendships and fun they had experienced through their involvement with TLCA. Bob Garrett, George Rice, the Fultons, the Schuelers, Mike Bennett, Gary Bjork and Henry Brimmer—all expressed sincere appreciation that the TLCA was taking the time to chronicle their efforts and their successes in those early years. As we stated in the Chapter Spotlights we recreated, most of these members did not leave the association—they simply moved on to other aspects of their lives. What did I learn? I learned a lot! For the past 5 years or so, I have camped next to Mike Bennett at Rubithon. He would enter on Friday with his son and keep a relatively low profile. Who is this guy…? Only last year did I find out that he was a past President of TLCA. Only this year did I learn that he was the founder of an event that I now chair and of the role he played in TLCA! I share this one experience in particular for a reason—the next time you are at a TLCA event, that person camped next to you might have been a TLCA President, a founder of a TLCA Chapter, a prior webmaster, a prior Truck Tech editor, or even someone really important like Bob Garrett or George Rice. Perhaps that person camped next to you will become a TLCA President in the future and take the association to new levels of success. What did I learn about TLCA? I learned that TLCA grows best when we do not focus on growth, but when we focus on what TLCA is about. 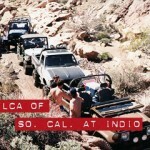 And those who know me personally are aware that I have always stated that TLCA is about Members, Chapters, Toyota Trails and Events. What did I fail to discover? Much to my surprise, I could not determine the name of the president in 1979, between Bob Garrett in 1978 and Morey Estrada in 1980, nor could I confirm whether one existed. It’s a mystery I suppose. In closing, I need to express my sincere thanks to all of the TLCA members who made the history series possible, including but not limited to: Bob Garrett, George Rice, John and Melissa Fulton, Dan and Cindy Schueler, Mike Bennett, Gary Bjork, Henry Brimmer, Ige Gustafson, Bob Brown, Mike Henderson, Joe Melhorn, Mark Algazy, Jerry Reffner, Marty Patton, Leonard Schupbach, Rick Stravasnik, Mike Trathen, Ron Patston, Rainey Kirk, Chris Heron, Mudrak, Dave Brown, Park Owens and most importantly, Todd Kaderabek, for without his guidance, vision, creativity, support and gentle nudges, this would never have turned out so successfully. Many thanks to all.